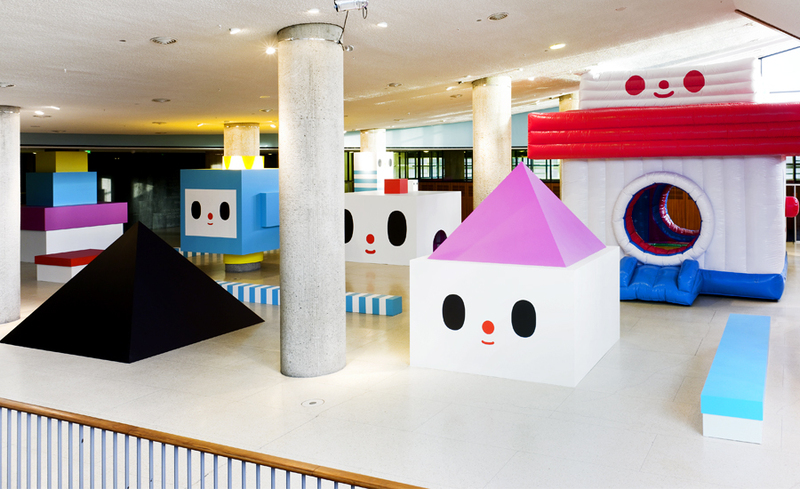 In 2009 Pictoplasma commissioned Miami based artist duo FriendsWithYou to create new site-specific artwork for spacious foyer of the Haus der Kulturen der Welt, Berlin. 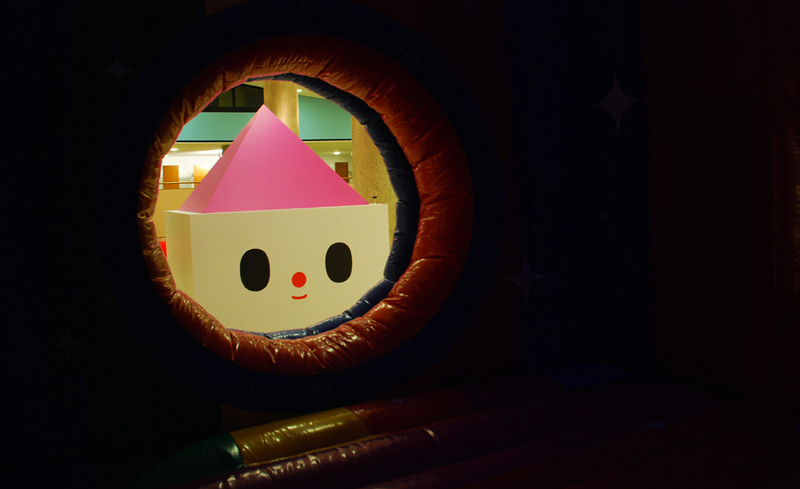 The areal with over 800 square meters was re-designed as a full-grown interactive installation referencing a suburban landscape, including private hide-aways, cheerful picket fences and FriendsWithYou’s legendary bouncing castle “Fun House”. 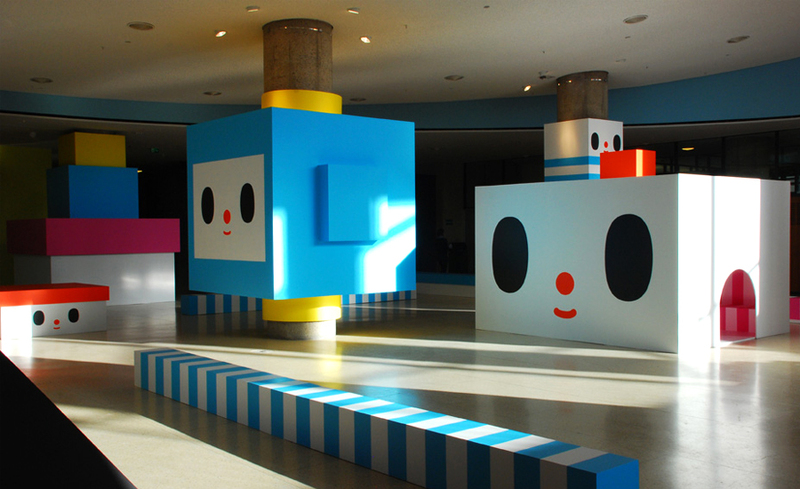 The resulting immersive installation was carefully conceived and produced in such a way to stand up to the enormous – and sometimes uncontrollable – willingness, of the more than 30.000 visitors to engage in wild, limitless and untamed play.